...and even left behind the Captain's ears! 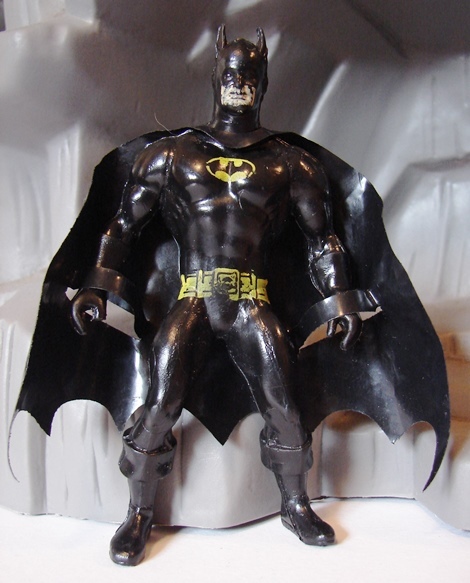 Bootleg Batman is made of solid rubber and is smaller in scale that the original Secret Wars action figures. 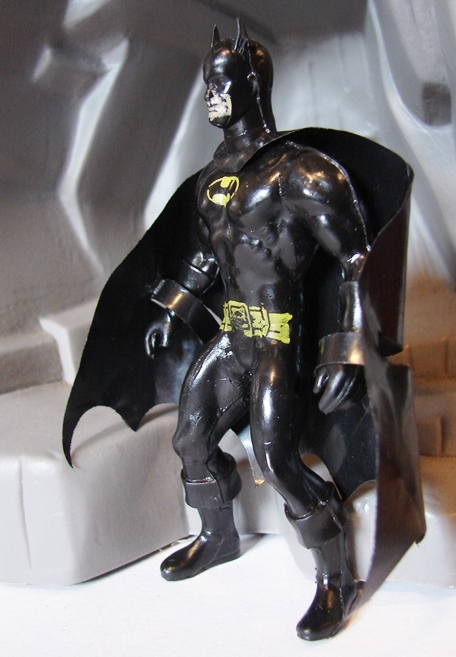 His paint is pretty terrible but honestly that's probably exactly how good it was the day this guy rolled out of the Mexican Bootleg Batman Factory. I'm actually shocked that he still has his cape and that it is in one piece, and not torn or missing, as it's a pretty flimsy piece of vinyl and could easily have torn at the neck or wrists in the however many years this guy has existed. My Intern can't stand to look at this guy any longer. 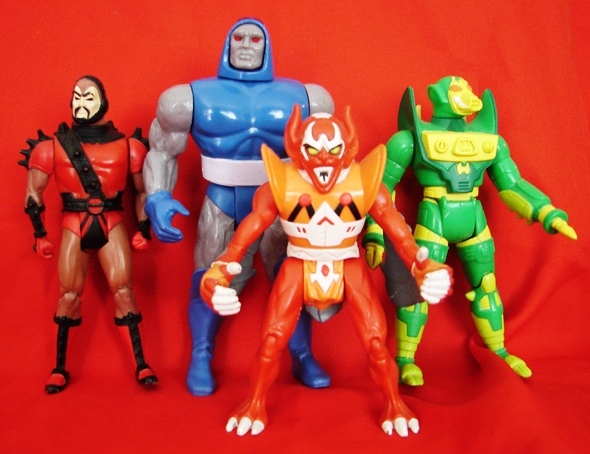 Show's over folks, nothing else to see here! You have to give credit to bootleg to make do what they have to still sell their exisitng stocks. 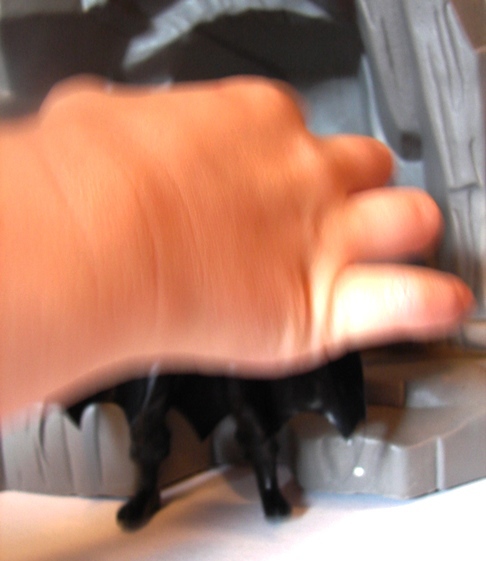 But then again if this is target to kids, it does not matter as kids will still believe it is Batman. Man, be careful with that thing around your intern. He might be full of lead! Bootleggers may be a lot of things, but resourceful definitely seems to be at the top of the list.